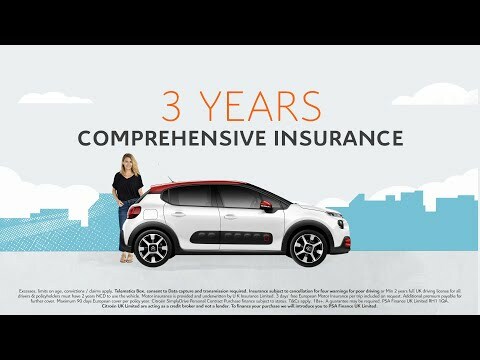 Citroën has developed Citroën SimplyDrive to offer customers a finance option that provides 3 years of motor insurance, routine servicing, roadside assistance, warranty and road fund licence, all included in one fixed monthly payment. Citroën SimplyDrive is now available across the whole Citroen range. Terms and Conditions apply. Citroën SimplyDrive applies to qualifying new vehicles ordered and delivered between 01/04- 30/06/19 or until such time as they may be withdrawn by Citroën at its complete discretion. Donnelly Bros Bangor Ltd and Donnelly Bros Garages (Dungannon) Ltd are acting as credit brokers, not lenders. We may receive payment for introducing you to finance lenders. To finance your purchase we will only introduce you to PSA Finance UK Ltd, the exclusive provider of Citroën SimplyDrive.